1. Besides writing, what other professions are you/were you interested in? Writing is the one thing I always went back to. It was, and still is, the only thing that I do that doesn’t feel like work. 2. Is there a particular message in Strange Luck that you'd like your readers to grasp? I think the quote by Dr. Seuss at the beginning of Strange Luck sets the tone for the story: “Sometimes you will never know the value of a moment until it becomes a memory.” Strange Luck is about the importance of memories, how they shape who we are and who we become, and what would happen if our most cherished memories were stolen from us. 3. 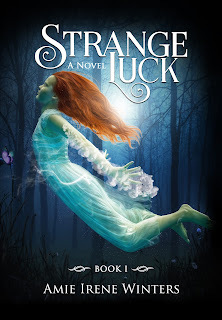 Are there any scenes in the Strange Luck series that were particularly challenging to write? Probably the fight scenes because there are a lot of details to keep track of (e.g., character placement, how injured someone is/their energy level, creating tension, etc.). I’m also not a big fan of fight scenes in general. Conjuring magic is much more up my alley. 4. What's your favorite under-appreciated novel? The Neverending Story. Most people only know of the movie, but the movie is based on an incredible book. I couldn’t put this book down to save my life! 5. Which authors have inspired your work? H.P Lovecraft is my favorite author of all time and he’s been a major influence on my writing. His stories really get in your head. You can’t easily forget them. J.K. Rowling, Joanne Harris, Neil Gaiman, and James Dasher have also heavily influenced me. 6. What is your favorite childhood book? I read The Secret Garden a lot as a kid because it has a dark and mysterious vibe. I also really liked to read classic fairy tales about magic, witches, and other worlds. 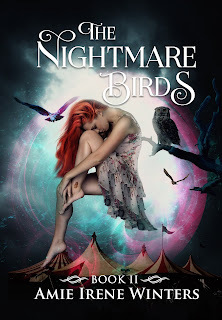 I just released Book II in the Strange Luck series, The Nightmare Birds, a few months ago. Right now I’m working on the third book in the series called REALM OF THE SHADOW GODS. You can expect lots of dark magic mixed with strange things creeping into the light *insert evil laugh here*, plus some new characters. 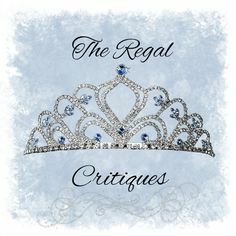 All of this allows the protagonist, Daisy Darling, to get to the bottom of who she really is. But will she embrace her heritage? 8. Do you have any interesting writing habits? I need a quiet, clutter-free atmosphere to write. My desk always has to face a window too. There’s just something about unconsciously gazing at birds and squirrels that helps with my writing process. Plus, they are cute. Originally from the San Francisco Bay area, where she met (and later married) her high school sweetheart, writing books never entered Amie's mind until she completed her BA in anthropology and religious studies, MA in environmental studies, and a wilderness solo in the Rocky Mountains. After having tried a variety of unique jobs - from park ranger, grant writer, natural history curator, Editor-in-Chief for various magazines, to archaeologist - did she start experimenting with writing fiction. AMIE IRENE WINTERS is the author of the Strange Luck Series. She currently makes her home in western Pennsylvania. 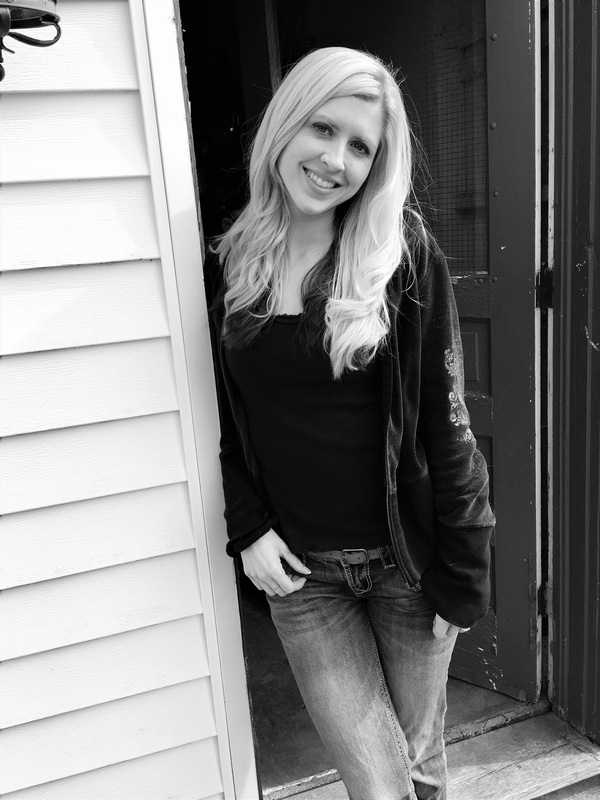 When not conjuring up other worlds, Amie can be found hiking, painting, playing music, traveling, baking desserts, or antiquing. DID WE MANAGE TO MAKE YOU INTERESTED IN THE SERIES? GOOD, CHECK BACK ON THE 26TH FOR A CONJUNCTED REVIEW OF STRANGE LUCK & THE NIGHTMARE BIRDS. 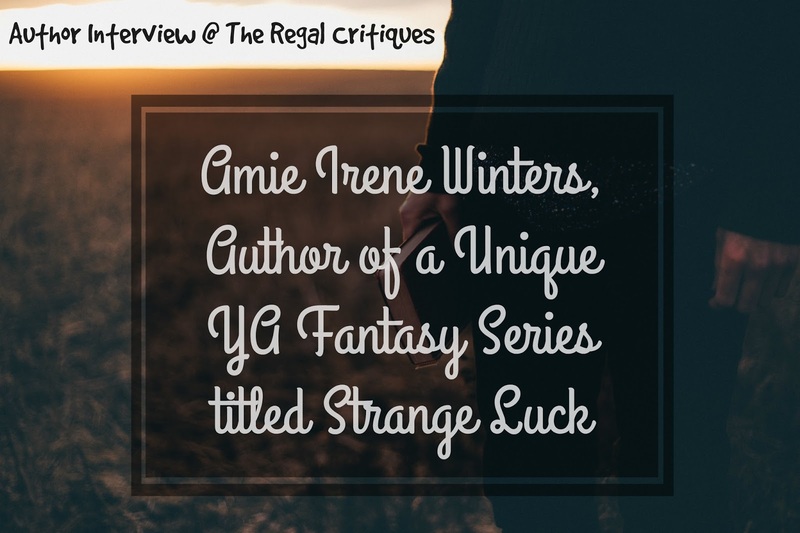 Aww this is such an interesting interview, Veronika :) I have never heard of the books or the author, but the Strange Luck books seem very intriguing to read! As a child, I read The Secret Garden, too (but I never finished it because I couldn't find the time to read, so I eventually dropped it. Someday, I will fix that!). And J.K. Rowling has always been an inspiration. I aspire to be a writer, and she is one of the writers who have touched me so much with her books. It makes me see now that I must never give up :) Great interview, and it was lovely to get to know more about Amie!